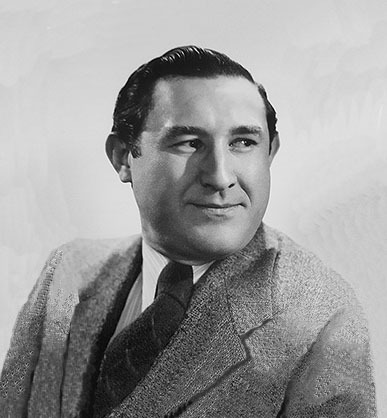 Morr Kusnet was born Morris Kusnetzov on June 8, 1908 in Brooklyn, New York City. His father, Max Kusnetzov was born 1869 in the city of Barisov in Belarus, Russia, of Jewish ancestry. His mother, Rose Kusnetzov, was born 1875 in Belarus, Russia, and was also of Jewish ancestry. His parents met in Barisov and married in 1895. They had two children in Russia. Their first born was Hyman David on April 3, 1895 and their second child Samuel was born June 15, 1896. In 1905 the family moved to the United States and settled in Brooklyn, where they lived at 340 Osborn Street. His father worked as a laborer at a local hardware store, where he learned the locksmith trade. In 1907 a third brother was born, Joseph, and then one year later Morris was born. By 1910 his father was the proprietor of a grocery store, where his two eldest brothers worked as helpers, salesmen and clerks. These two Russian-born brothers eventually formed a successful wholesale grocery distribution company in Brooklyn called Kusnetzov Brothers, Inc. In 1916 the family moved to 355 Chester Street in Brooklyn, where his younger brother Alex was born, the fifth child. In 1920 his father bought a hardware store on Malta Street in Brooklyn, where he worked as the proprietor and locksmith for the rest of his life. In 1924 his father bought a $45,000 private home at 45 Rockaway Parkway in Brooklyn, where the family lived in prosperous comfort. Morris Kusnetzov attended public schools in Brooklyn and in September of 1924 he began to attend Thomas Jefferson High School on Pennsylvania Avenue in the Brownsville section of Brooklyn. His was the first graduating class in this brand new school with over seven thousand students, which surpassed DeWitt Clinton for the record of the largest enrollment of any high school in America at that time. The art department was run by Bernard I. Green (1887-1951), a talented artist who studied at the National Academy of Design in Manhattan. Green inspired his students with a greater interest in the school's Art League. He also submitted their work to a variety of citywide art competitions, which helped to generate scholarships for further study at art schools and colleges. The artist Malvin Singer also attended Thomas Jefferson at this same time and graduated in the school's second graduating class. Morris Kusnetzov contributed sketches to the student newspaper The Liberty Bell. He also drew illustrations for the school's annual publication The Jeffersonian Magazine. These were his first published illustrations. In 1925 in addition to his regular high school education he also took a Drawing Class for one semester at the Pratt Institute of Brooklyn, School of Art. 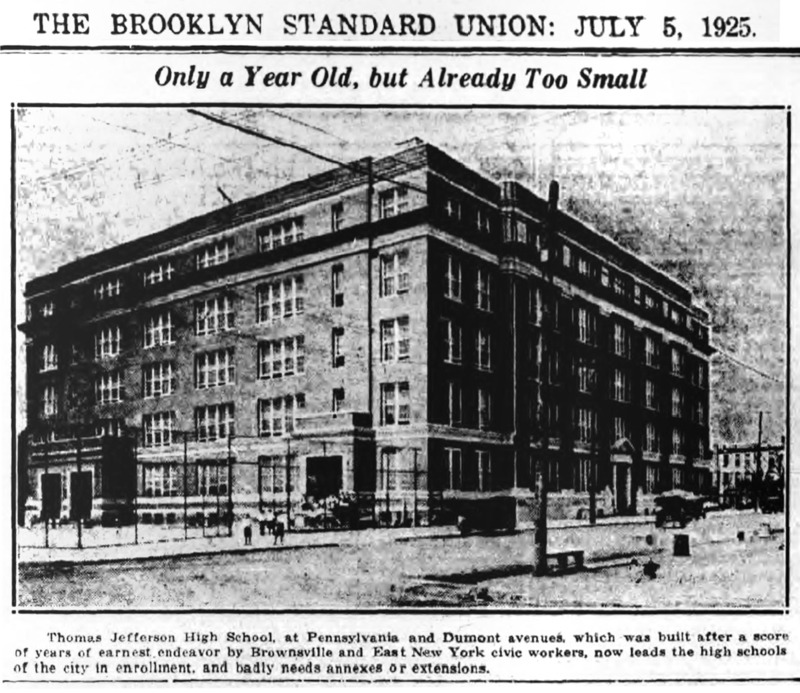 On June 22, 1926 he graduated Thomas Jefferson High School. Although the school had a large enrollment his graduating class was disproportionately small, because he was one of only twenty-five students that joined the new school in their Junior year instead of joining as a Freshmen. After completing high school his art teacher Bernard I. Green encouraged him to seek professional art training. On September 26, 1927 he applied for admission to the National Academy of Design on the Upper East Side of Manhattan at 89th Street and Fifth Avenue. Three days later he was accepted for admittance and studied with Raymond Neilson (1881-1964), a portrait artist. It is interesting to note that school records indicate the student "suffered from severe eye strain." After this phase of training he continued his studies at the Art Students League of New York at 215 West 57th Street in Manhattan. During these years of art training he lived at home with his parents and four brothers at 45 Rockaway Parkway in Brooklyn. In 1931 he began to draw pen and ink illustrations for newspaper advertising, where his talent in portraiture was especially valued. Rather than sign this work with his full name "Morris Kusnetzov" he signed it with the unusual name, "Morr Kusnet." 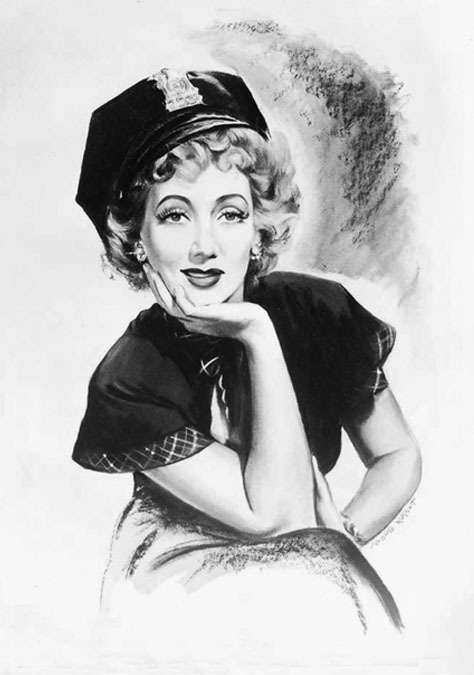 Although the Great Depression brought hard times to most Americans in the 1930s he earned an impressive salary as a free lance commercial artist. 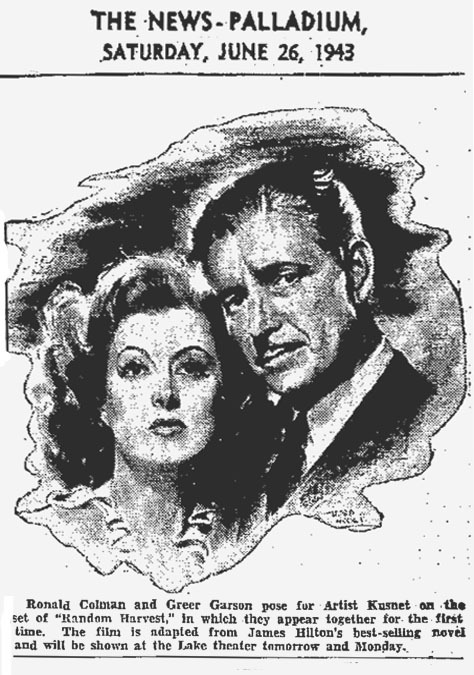 Hollywood movie studios appreciated his talent for drawing recognizable portraits of movie stars, which were used in nationwide newspaper advertising. 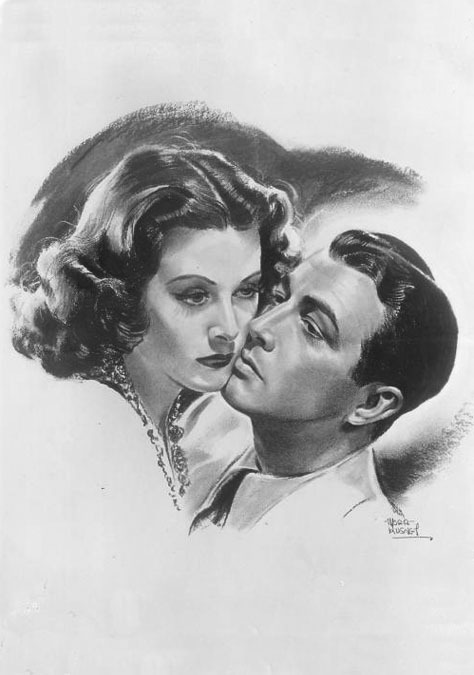 On December 30, 1934 he married Ruth S. Cohen in Brooklyn. She was born December 31, 1908 in Brooklyn, and had completed her third year at Brooklyn College. According to the artist's daughter, "My parents had been childhood sweethearts. They lived next door to each other, and when my mother would date other guys, my father would wait in her family's living room until she got home!" The married couple moved to a grand apartment building at 961 Eastern Parkway. 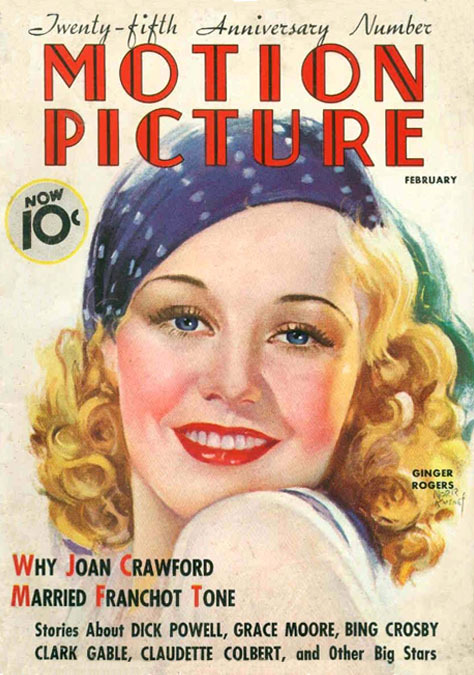 In 1935 his paintings of Metro Goldwyn Mayer movie stars were published on several monthly covers of Motion Picture Magazine. On December 3, 1938 his father died at the age of sixty-nine in Brooklyn. A few months later in 1939 his daughter Maida Linda Kusnetzov was born. 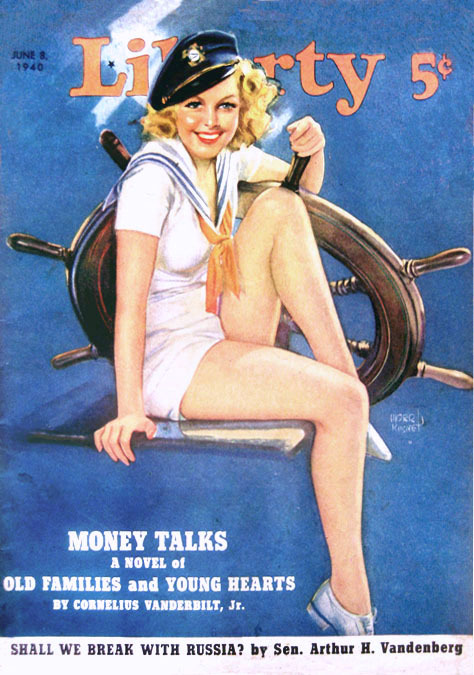 In 1940 his painting was published on the cover of Liberty Magazine. In this unique instance he signed the cover with his actual first name, "Morris Kusnet." 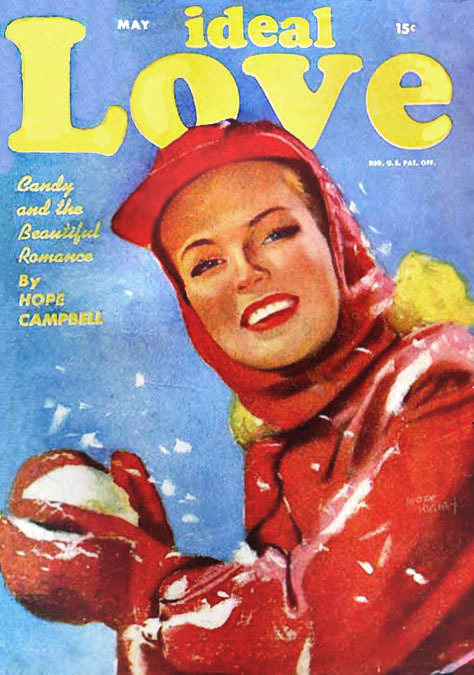 In October of 1941 his portrait of 20th Century Fox movie star Mary Beth Hughes appeared on the cover of True Romances. Along with Liberty this was another slick magazine produced by the same publishing company owned by the famously-eccentric health nut, Bernarr Macfadden. These two magazines had among the highest circulation numbers in the entire publishing industry, so the artist could hardly find a better showcase for his talents. 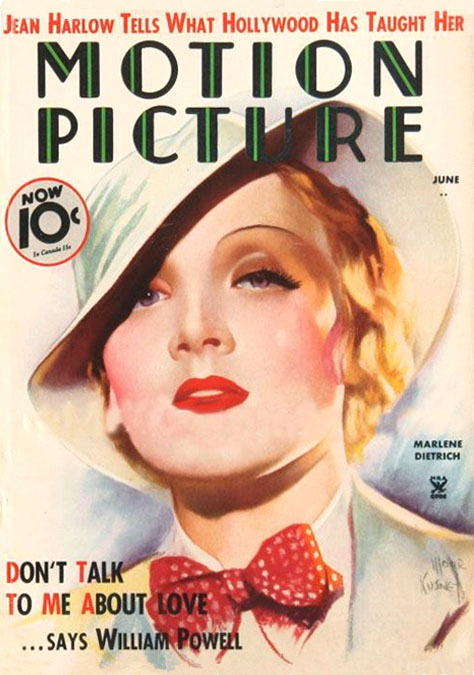 Other artists that worked in this same competitive field of glamorous movie stars portraits were Rolf Armstrong (1889-1960), Earl Christy (1882-1961), Zoe Mozert, Julius Erbit, Jules Cannert, Warde Traver, and Fred W. Small. In 1942 Morris Kusnetzov rented a professional office at 424 West 47th Street near 7th Avenue in busy mid-town Manhattan. During WWII he was not selected for military service, at the age of thirty-five with a dependent wife and child. He was recorded at the time to be five-eight, 158 pounds, brown eyes, brown hair and a light complexion. In 1944 his second child, Audrey Kusnetzov, was born. In 1949 his mother, Rose Kusnetzov, died at home in Brooklyn at the age of seventy-seven. After he death, he and his wife and two daughters left Brooklyn and moved to Flushing Queens, where they lived at 141-64 73rd Terrace Street, which was a comparatively suburban community. After the war he moved his Manhattan art studio one mile north to 1947 Broadway in the Arcade Building on West 66th Street. According to his younger daughter, "Going to my father's studio was always a special treat. After each visit, we would have dinner at a wonderful German restaurant called Vorst's Century Sea Grill, on Columbus Avenue and 66th Street." 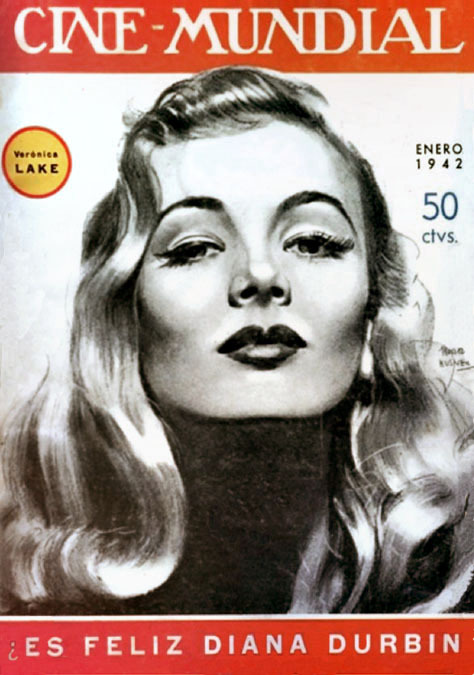 During this post-war period the artist continued to earn a significant income providing newspapers with portraits of movie stars, but he also began to paint cover illustrations for pulp magazines. His work appeared on Ideal Love, Gay Love, and Love Short Stories. 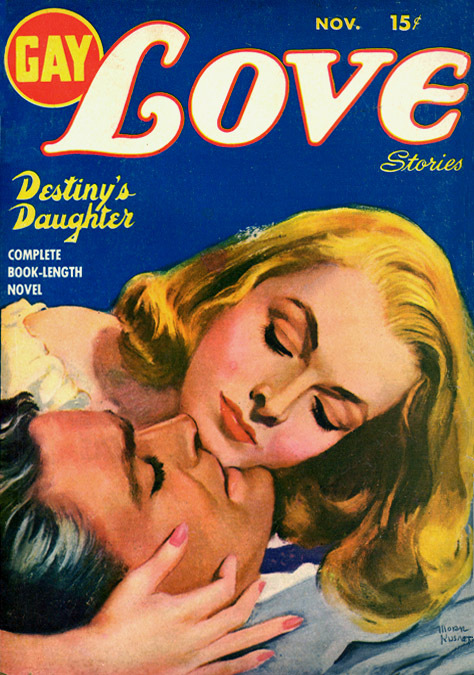 These were low paying jobs, so it is curious that he chose to work in the low-paying field of romance pulps, and to openly sign his work with his reputable name. The Arcade Building was a popular locale for artist studios. 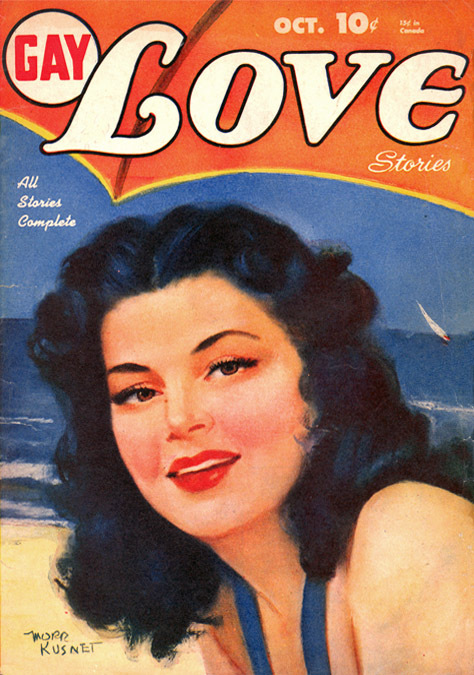 Several pulp artists had studios there, such as Alex Redmond, George Gross and Richard Lillis. Perhaps these assignments resulted from his camaraderie with these other pulp artists. According to his younger daughter, "My father's studio was next door to Raphael Soyer (1899-1987), and they were friends. My father admired his work, and Soyer often invited him to take a painting, but my father felt funny about doing that, and never did." In 1954 he and his wife founded the Kew Hills League for Retarded Children. For the next twenty years they organized activities, events, tea parties, tours, and private film showings to generate funding for a Special Class at P.S.71 in Elmhurst, Queens. In 1956 the Arcade Building was torn down to make way for Lincoln Center. Rather than rent a new studio in Manhattan, the artist decided to work in the finished basement of his home in Queens. According to his younger daughter, "My mother was at first not so happy about this. She thought he would be underfoot, and she would have to make lunch for him, etc. As it happened, he was a great help. He had no aversion to vacuuming or helping with the housework, helping with cooking, and washing dishes. One of our neighbors liked to tease him, but Dad said that he was not embarrassed to be seen in an apron. He was also not embarrassed to be seen in his paint-stained overalls. He would take Mom grocery shopping, and he would sometimes do the grocery shopping on his own. He would also take my sister and I to Alexander's Department Store in Rego Park when we wanted to go shopping." "I realize that my sister and I were very lucky that our father worked at home. We could come home from school and see what he was working on. He used a contraption called a Belopticon, which projected the image of a photograph onto the illustration board, so he could quickly pencil in outlines of the various elements of the poster. He also kept a "morgue" of pictures torn from magazines, as well as stills from the movies companies, so he had reference material for different body positions. When my sister and I were in our later teens, he would use us as models rather than using professionals - cheaper for him, and nice for us to have the extra spending money." "He also shared a lot of information about how he worked. I asked him why he put a white dot in each eye, and he said it made the eyes look alive. I asked him why he didn't define the lines between the teeth, and he said it would make the image look too photographic. He told me that the night sky was never really black, but rather a very, very dark blue." "When he had to deliver a finished job in NYC, my sister or I would often be commandeered to come along to baby-sit the car, while it was parked in mid-town traffic. These trips gave us a chance to spend a lot of time with him, an opportunity that most children did not have." "Visiting museums with him was also a treat. He would explain how the artists used light, perspective, color and other things. His favorite artist was Winslow Homer (1836-1910)." 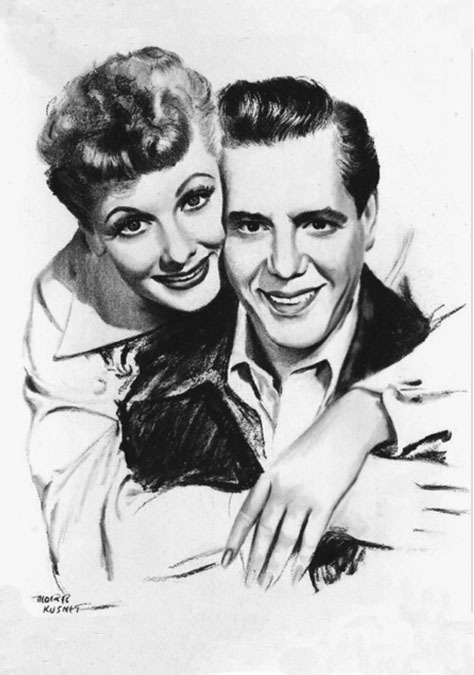 During the 1960s he continued to create promotional illustrations for movie stars as well as television stars. 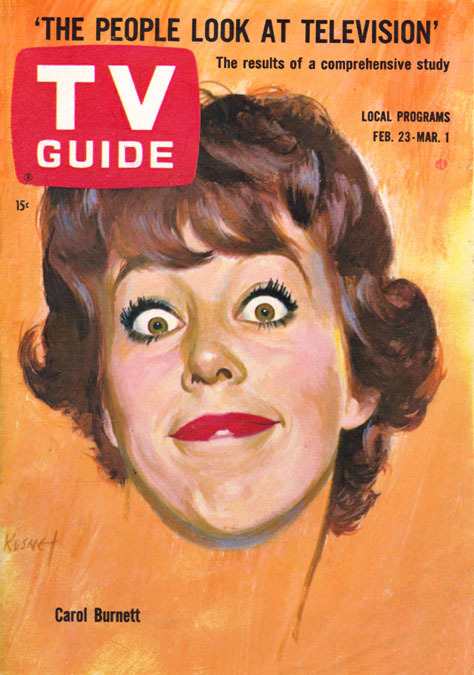 He drew illustrations for Rod Serling's TV show The Twilight Zone and on February 23, 1963 his portrait of Carol Burnett appeared on the cover of TV Guide, which had the highest circulation in the nation at the time. According to his younger daughter, Audrey (Kusnetzov) Friedman, "My father enjoyed doing sketches and watercolors when we were on vacation in Provincetown or other places with interesting scenery, but he was not interested in doing fine art in his spare time, and this bothered him. He once asked a family friend, who was a psychiatrist, about this, and the man replied, 'Well, you're probably just not really interested in doing that.' My father did do a lot of portrait work, and because he was so good at working with pastels, his portraits were quite special." "My father was a wonderful person and a very loving father and husband. He had a great sense of humor, and was a kind and generous man. Often, when he would go into Manhattan to pick-up or deliver a job, he would tell us that a homeless man had asked him for money, and instead of giving him cash, he took him to a coffee shop and bought him a meal." On November 1, 1987 his wife, Ruth Kusnetzov, died at the age of seventy-eight. According to the artist's eldest daughter, Maida Linda (Kusnetzov) Silverman," My Dad was so talented. He was really self-taught for the most part. His media were pastel, which is very difficult to work with, and gouache, which is an opaque watercolor paint. One of his best, and favorite, posters was done in black and white gouache with charcoal for the movie, Twelve Angry Men." Morris Kusnetzov died in Flushing Queens, NY, at the age of eighty-one on February 6, 1990.